All good things are not expensive and the VS-212 certainly proves that. The device is worth its weight in Gold for the features it gives as an entry level product. 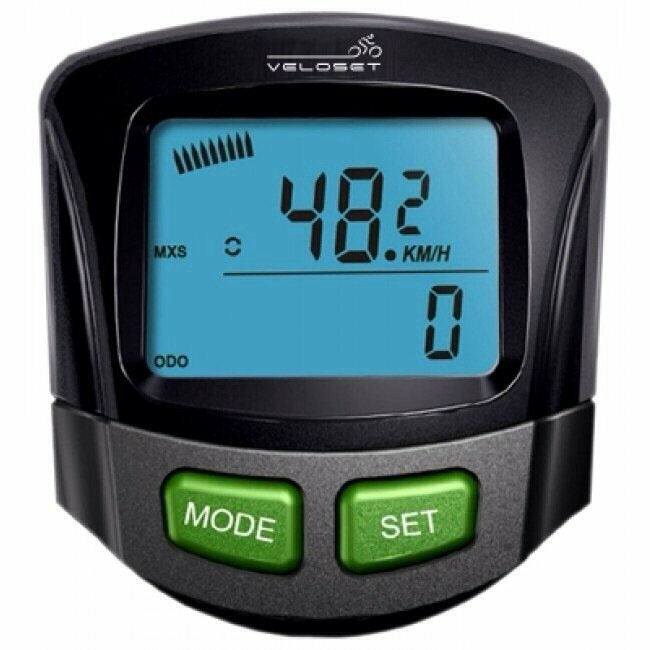 Veloset is relatively a new name in Cycling Computers industry and has done quite well in the entry level market. 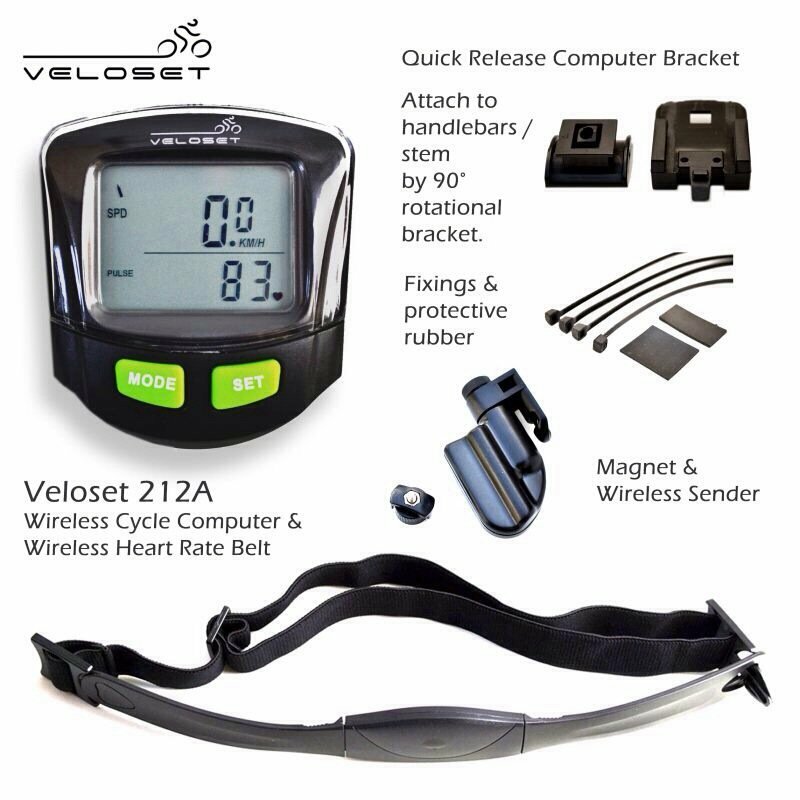 The VS-212 is Veloset’s top selling device. The device is wireless and kills the hassle of wires. It features a lot of functions and can measure how much distance you travelled, your riding time, even the average and maximum speeds. Theses stats are vital for any cyclist who aims to monitor his progress and increase his fitness. It weighs just 100 gm and is powered by a single CR2032 battery. The Vs 212 is very easy to install and is water resistant to some extent and wont trouble unless you decide to go for a ride under water which you probably won’t! Moreover, comes with year of manufacturer’s warranty and costs around $12.95 on Amazon. The VS-212 might be an entry level product but it won’t make you feel so. 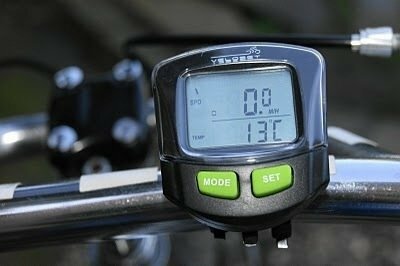 The device is pretty stylish and comes with a very convenient LCD display with a timed blue backlight, which enables the cycler to view his progress in any condition. Further the computer is completely wireless and gets fitted in minutes without any hassle of wires or appropriate tire size. The VS-212 (although quite affordable) does as much as your top notch computer. It can calculate Average Speed, the maximum speed you reach and even the relative speed along with total distance you rode. The device can record in both imperial and metric units and depends on the user to select from the two. With a thermometer on board the device can also record temperature in both Celsius and Fahrenheit. The auto scan feature on device is very useful and displays each mode and recorded stat after duration of 4 seconds so that rider keeps updated of every stat. Also if the device does not receive any signal for 8 seconds i.e. you stop cycling it would auto power off to save battery. It can sense data at a distance of 85 cm (thirty three inches) from the sensor. With all these features you also get a clock in both 12/24 hour formats. The computer can also record your pulse and heart rate while cycling with the optional heart rate sensor. Heart rate is very important for any exercise and if you are not working out at correct heart rate intensities, your workout would be a waste of effort. To ensure you aren’t putting in an extra or less than required effort it’s highly recommended that you use a heart rate sensor with the device for maximum benefit. Bicycle computers maybe very important for a professional athlete but if you don’t want to invest much money on it then the VS 212 is the perfect device you. It gives you almost everything a premium cycling computer could. It is pretty durable and we didn’t find it fidgeting even on rough roads and hilly areas. The device is very easy to setup and calibrate. While testing it we accidentally dropped the device into a puddle and it did give us a scare but it worked absolutely fine, so rain is not the only thing it can resist and it is water proof to some extent. Owing to all the features it offers for your money, Burntech highly recommends this to our readers with a tight budget.